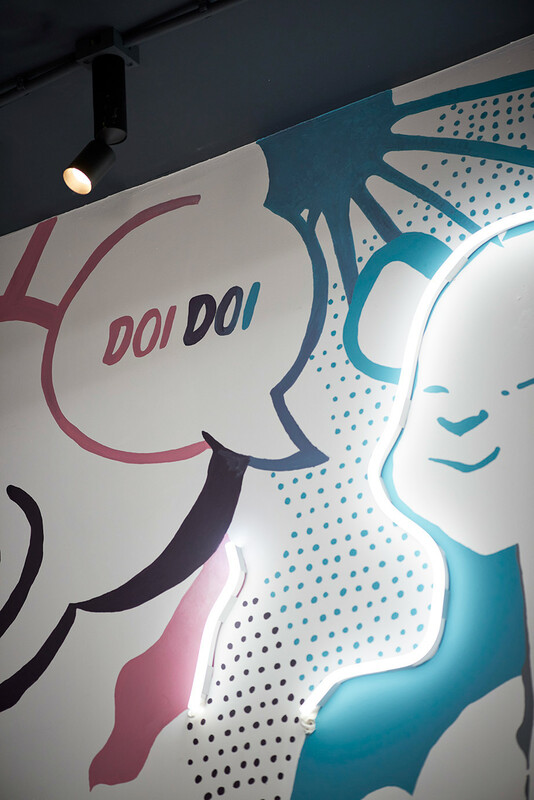 Inspired by the sleepless food scenes of Bangkok and Hong Kong, Doi Doi aims for the gut and heart with delicious Asian delectables and oodles (plus noodles) of hang-out allure served from dusk till dawn in the fashion epicentre of Antwerp. 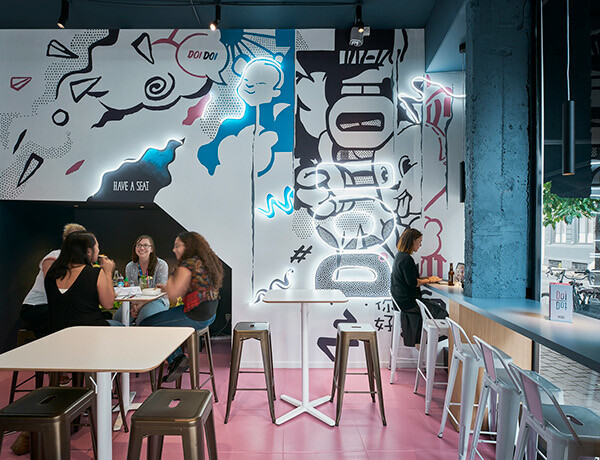 Inspired by the Dusk till Dawn slogan, we designed and installed a mural peppered with neon elements that glow bright come nightfall. 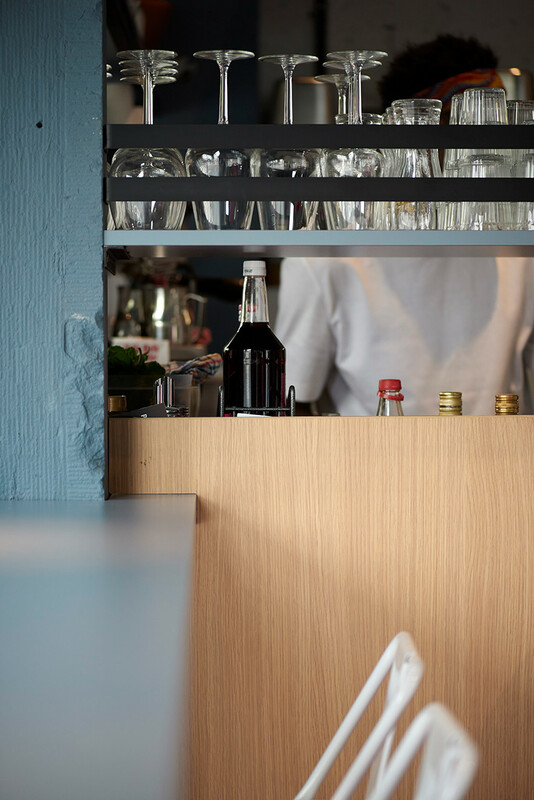 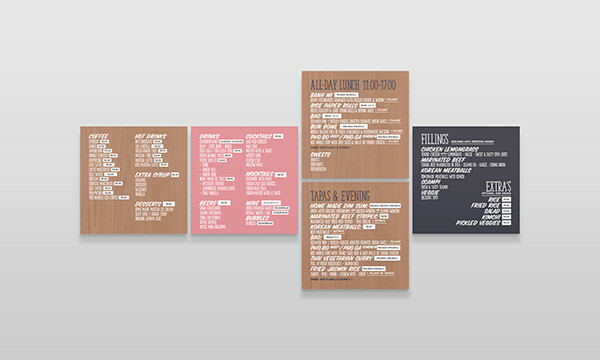 And the flow of time isn’t just visible in the lighting, it also affects the menus adapting to the time of day, from lunch time till cocktail hour. 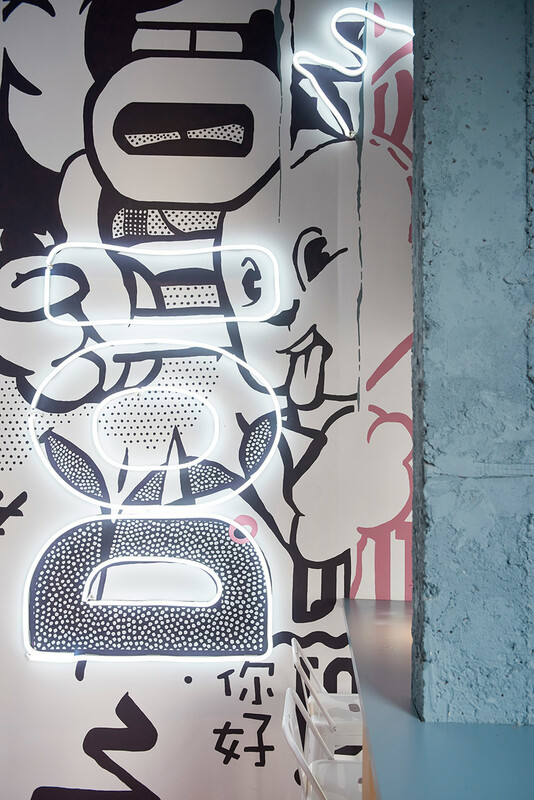 Like Yin & Yang the branding flips between daytime, in the shape of a smiling face, and night-time, with the symbol of a snoozy character. 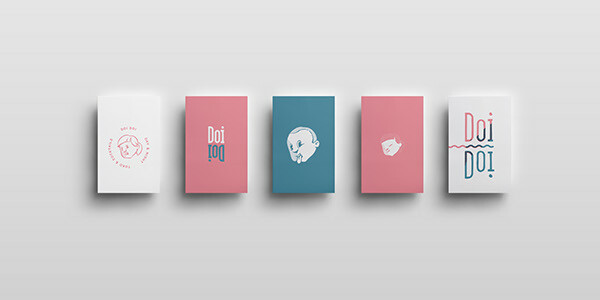 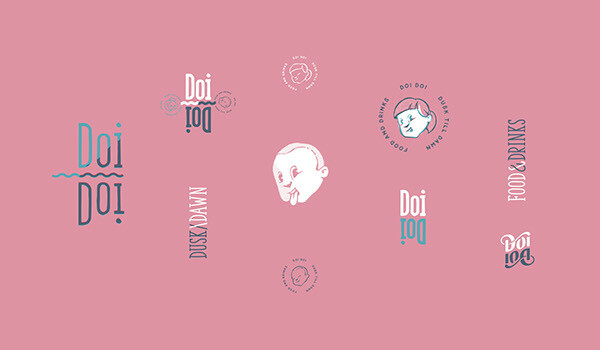 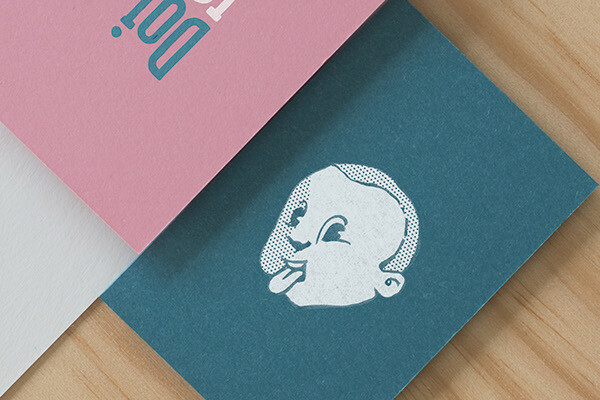 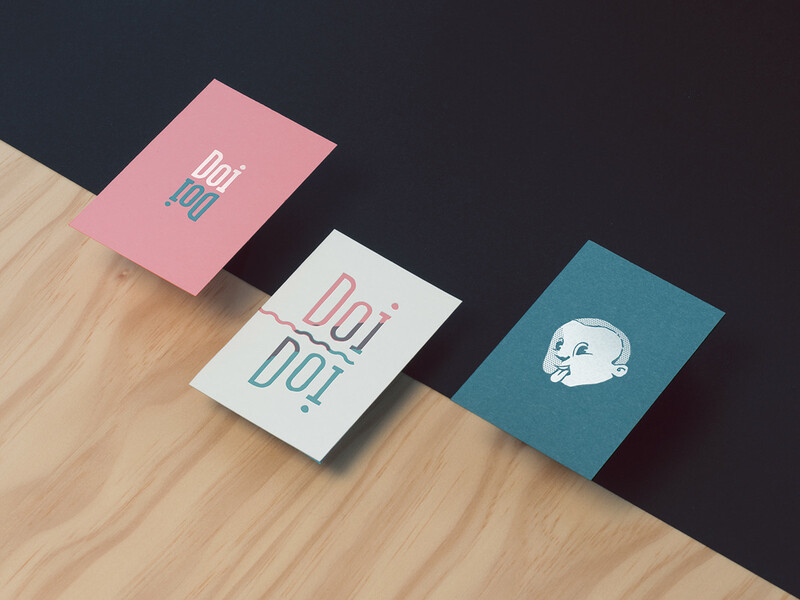 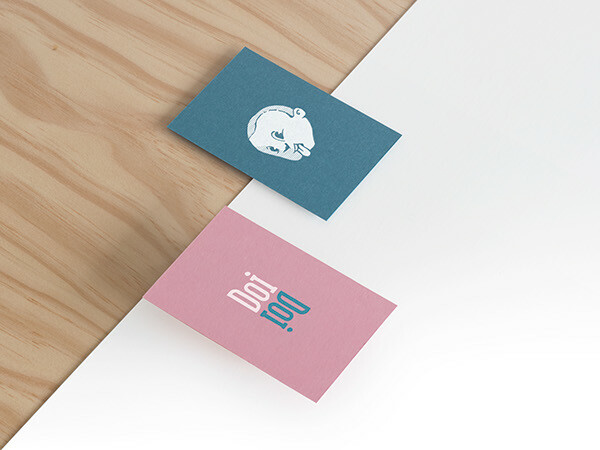 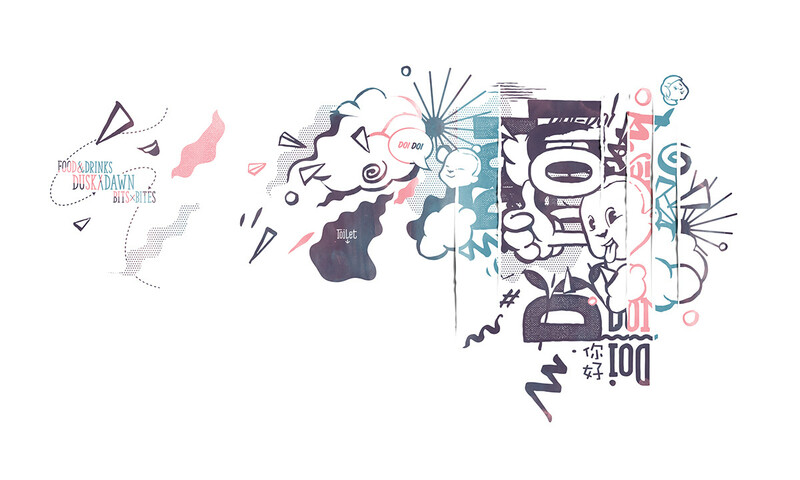 Graphics and branding for Doi Doi, inspired by Asian comics and cartoons, the sleepless food scenes of Bangkok and Hong Kong. 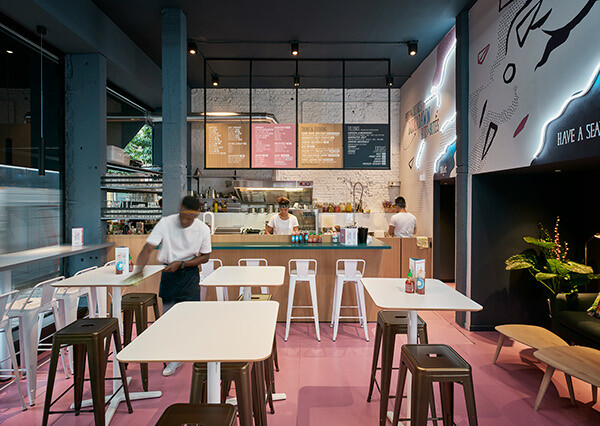 Aiming for the gut and heart with delicious Asian delectables and oodles (plus noodles) of hang-out allure served from dusk till dawn in the fashion epicentre of Antwerp.